Users of mobile network operator EE’s Cash on Tap NFC payments service will be able to use their mobile phone to pay for travel on the London Underground, Docklands Light Railway and London Overground services from 16 September, when Transport for London (TfL) introduces the ability for passengers to pay for travel using contactless cards. Contactless payments were introduced on London’s bus network in December 2012, giving passengers the option of paying for travel with open loop contactless cards in addition to the existing prepaid Oyster cards issued by TfL. 825,000 passengers have used the service to pay for 17m bus journeys so far and around 65,000 journeys a day are currently paid for with a contactless card. 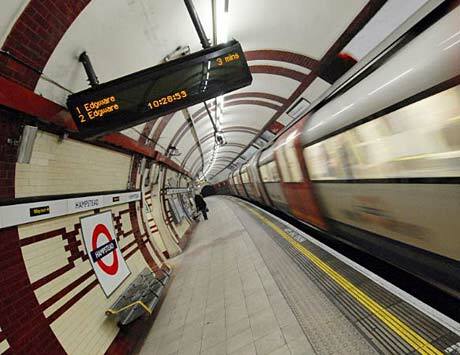 The extension of contactless payments to the London Underground has been undergoing pilot testing since April 2014. “The new option, which is part of a huge range of improvements TfL is making for customers, means that there will no longer be any need to spend time topping up Oyster balances because fares are charged directly to payment card accounts,” TfL says. “Contactless payments — credit, debit, charge or prepaid cards or devices — work in the same way as Oyster, charging the pay-as-you-go fare by touching in and out on the readers at the start and end of every journey. “In addition to daily capping, a new Monday to Sunday cap will also apply for customers using the contactless payment option, as TfL’s advanced system will automatically calculate the best value contactless fare over the course of the week. “Only one charge per day will be sent to the bank or financial provider for payment — clearly referencing it as a payment to TfL for travel. Registered customers will be able to easily view their journey and payment history via their TfL online account. USI to supply iWatch chips?